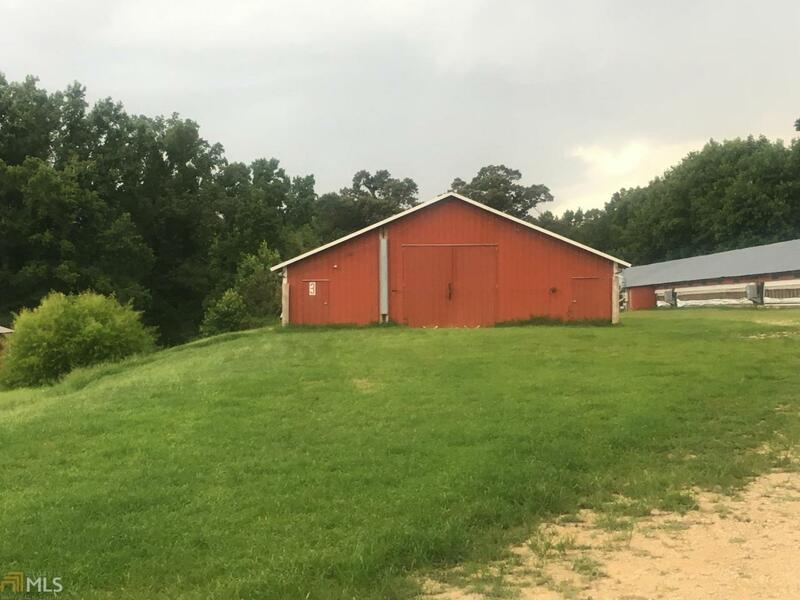 8.45 acres of beautiful land with 2 chicken houses in operating condition. 2 rented mobile homes bringing 700.00 total rental income per month, outbuildings. Great Road Frontage for possible subdivision almost 1000 ft.. Buildable land, possible subdivide. Survey available. Property includes trac parcels ID's 118-00A1, 118-00A2, 118-00A3 Property and MH's in "AS IS" Condition. Bring the horses or owner will to find someone to train you to operate chicken houses. Beautiful buildable AG2 land in Braselton that is well maintained by county. Won't last long as this property is near major corporations, shopping, easy access to I-85 and schools.